State Bank of India announced the SBI Clerk Recruitment 2019 Notification for the recruitment of 8653 Clerk cadre Junior Associate Posts. So, the SBI inviting Online Mode of Applications from the aspirants to apply @ sbi.co.in within the time period 12th April to 03rd May 2019. But, before that Check, the Details mentioned on the SBI Junior Associate Notification. SBI Clerk Recruitment 2019 has been released in the form of an advertisement on 12th April 2019. After the publishing of this SBI Junior Associate Notification For 8653 Posts, candidates who are preparing for the Bank Jobs they can use this to apply because only Freshers are eligible for this. Contenders can get the complete details on this page. Here you can find all the regarding details of the State Bank of India Clerk Recruitment 2019. If you want to apply for this recruitment you can just have a look at it. They are recruiting for the clerk position. The total of 8653 vacancies is available for this position. The prescribed form of SBI Clerk application form is available on the official site. The officials are accepting the application forms only through online mode only. Candidates Must go in referring the Info placed about the SBI Junior Associate Vacancy below. SBI Clerk Notification 2019 has been announced on this page. the willing persons who are seeking for the job can check the entire details on this page. If you have any doubts regarding the Qualifications simply open the SBI Junior Associates Notification 2019. Candidates who had to meet up the eligibility criteria they can submit the details on this page. The links are active in the state. So you can apply as soon as possible as the last date for this is 03.05.2019. candidates have a lot of time to prepare for the exam. Check the official site for more details. So candidates will have enough time to prepare for the examinations using SBI Clerk Syllabus and also the application forms. As various vacancies are offered by the SBI with this SBI Clerk Recruitment, So the competition among the candidates will more. The candidates should have Graduation/ Bachelor’s Degree in any discipline or its equivalent course from any recognized in first-class University/ college as per the SBI Clerk Recruitment 2019 Notification as on 31st August 2019. The age Limits should be as on date 01.04.2019. Applied candidates should pay the application fee online. Based on the category only they will check the following application fee given below. The SBI officials will conduct the Prelims and Mains Examination along with Interview and Document Verification for selecting the aspirants for the SBI Clerk Vacancies. Interested Aspirants go to the SBI bank official website i.e www.sbi.co.in. Click On the Careers Tab and find the SBI Junior Associate Notification 2019. Read all the Details that are listed to find their eligibility and if eligible Click and open the application forms. Complete the details in the application form carefully. Upload a Photo and also Signature and Pay the fee. Download the hard copy of it for further use. State Bank of India Clerk Job Vacancy 2019 is released on this page. The authorities had shared all the notification and SBI Junior Associate Customer Support And Sales Application links on the main page. We have shared all the links on this page. Here it is the right page to get the notifications and updates and many more. So keep visiting our page Jobschat.in for more updates. The interested candidates who are looking for SBI Junior Associate Recruitment Notification 2019 can find the relevant information here. To prepare in advance candidates will require the important Previous Papers, etc. The SBI Clerk Prelims And Mains Exam will be organised in June & July 2019. So, clear those and get Selected to the sbi.co.in Clerk Recruitment for the 8653 Vacancies. 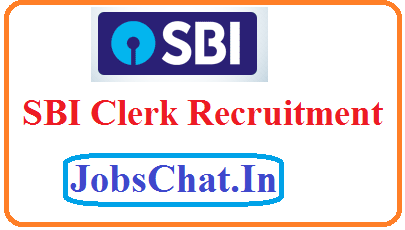 The post SBI Clerk Recruitment 2019 | Apply For 8653 State Bank Of India Junior Associate Jobs @ sbi.co.in appeared first on JobsChat.in.